Light breeze from the east in the morning, turning south and increasing around 10. Not much trapping after that, and the nets were closed around 13. Ringed: Common Skylark 1, European Robin 4, Common Blackbird 1, Fieldfare 1, Song Thrush 1, Chiffchaff 3, Goldcrest 1, House Sparrow 1, Greenfinch 1, Common Linnet 1. Total = 15. Also 8 controls. The highlight of todays catch was this Common Skylark. Though a common breeding bird in the fields around the bird observatory, they rarely come close to our mistnets. 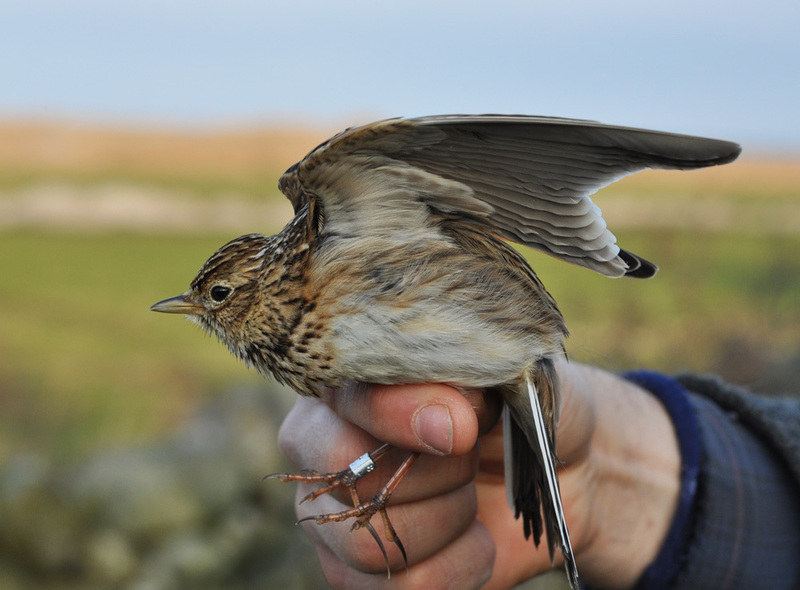 This was the first to be ringed since 2004. 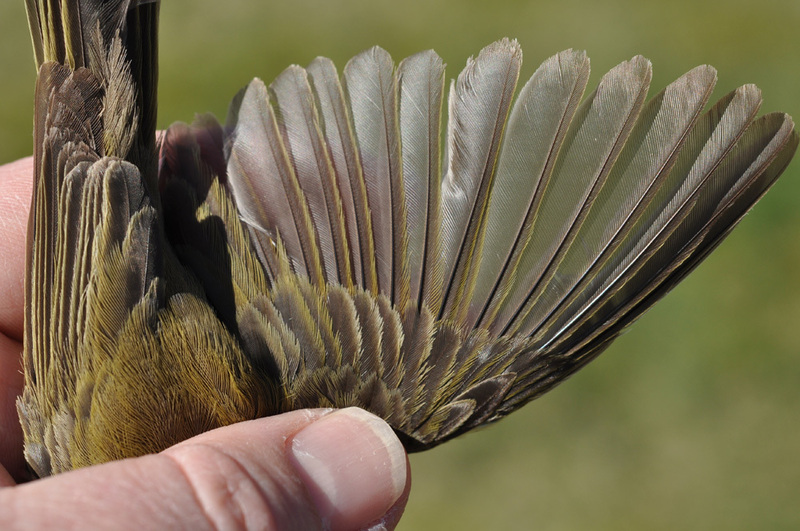 There has been a few Chiffchaffs in the catch lately. 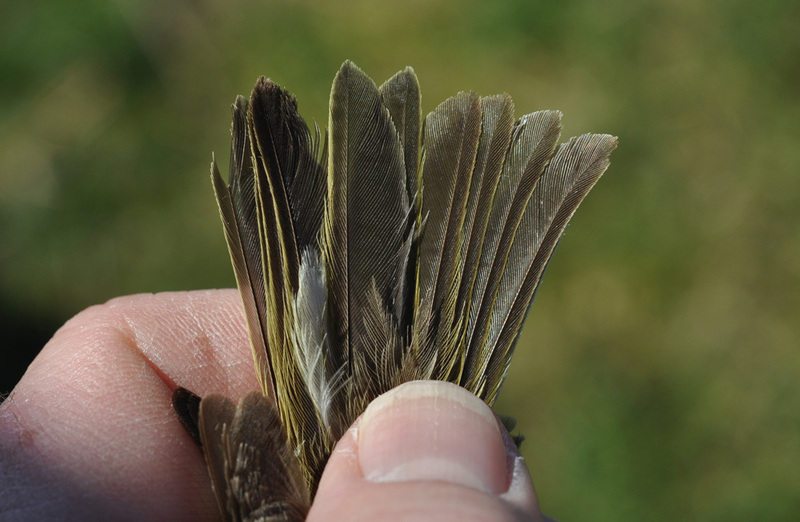 Though not the easiest species to age, this one can be put down as a 2cy by the contrast in the greater coverts (5 outer are juvenile paler feathers) and the tail (some second calendar years will moult the central tail feathers in the winter quarters, contrasting with the browner and more worn older feathers). 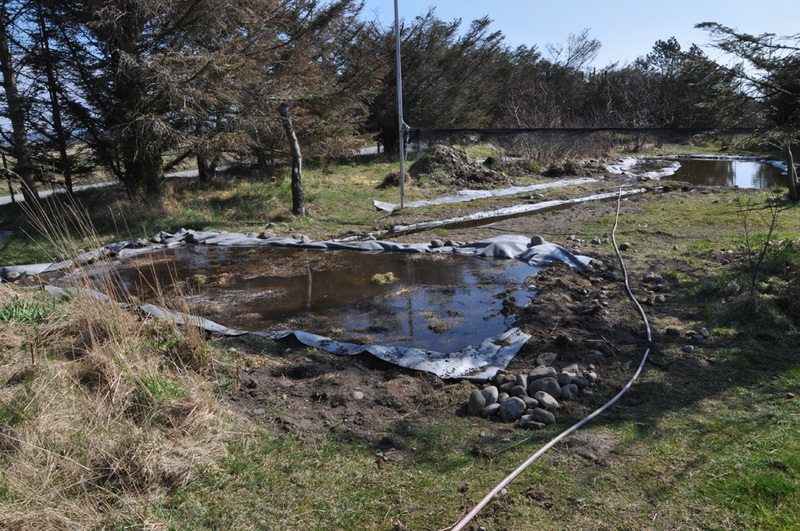 Work continued on the new ponds, and the last one was filled with water today. 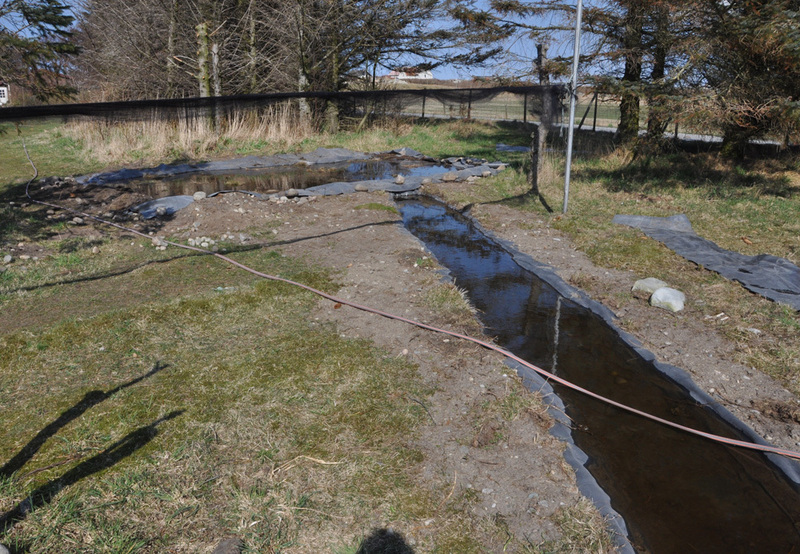 Observations: The first Northern Wheatears (2) and Sand Martins (3) were spotted during the day.